The submission process is meant to be simple, allowing you to provide baseline information about local challenges. Thriving Earth Exchange projects can be completed as part of a cohort, individually, or via a dialogue. How it works video. may serve as a precursor to individual or cohort Thriving Earth participation. We will reply within one week with information about next steps. We all know that science matters, but sometimes it’s hard to figure out exactly how, and with whom, to share it. Sharpen your ability to share research with the world. Join the American Geophysical Union science communication sessions to learn how to tell good stories, become a science advocate, and explain science to any audience. All events are in the Science Communication: A Sharing Science Room (Convention Center, 203 A/B) unless otherwise noted. These blog posts are part of Students in Community Science, a series of Thriving Earth Exchange articles featuring students who have had internship, educational or volunteer experiences in community science. Join Thriving Earth Exchange for AGU’s Fall Meeting, to be held 10-14 December in Washington, D.C. Abstract submission deadline: 1 August. The AGU 2018 Fall Meeting provides a special opportunity to share science with world leaders in Washington, D.C. As the largest Earth and space science gathering in the world, the Fall Meeting places you in the center of a global community of scientists drawn from myriad fields of study whose work protects the health and welfare of people worldwide, spurs innovation, and informs decisions that are critical to the sustainability of the Earth. Connect with the D.C. area’s many scientific institutions and witness the ways that your colleagues are helping to inform solutions to the challenges faced by this region. Recharge by exploring the city’s bustling restaurant and music scene and enjoy the beauty and richness of its national monuments and museums. Launch AGU’s Centennial celebration by observing 100 years of Earth and space science accomplishments and set the stage for the next 100 years of breakthroughs. Recognize the outstanding contributions of individuals who have advanced science, served the community unselfishly and increased public understanding at the Honors Ceremony. Come to Fall Meeting to share your research, expand your skills and grow your career, learn from colleagues, and gain visibility and recognition for your own efforts alongside the world’s leading scientific minds. Experiment with new ways to present your research and engage with your colleagues. See the latest research from every field and gain insights that will enrich your own work. Meet new collaborators as you explore more than 20,000 oral and poster presentations. Hear from renowned science lecturers and be inspired by world-class keynote speakers. 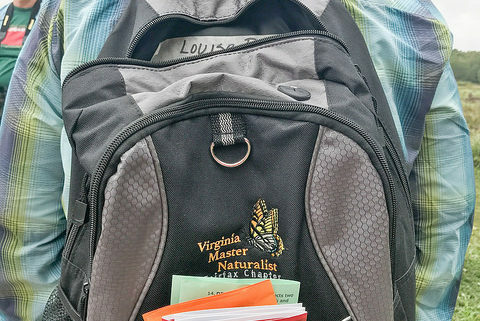 Join a field trip to explore the local geology, delve into the many challenges facing the Chesapeake Bay (the largest estuary in the U.S.), or investigate the implications of climate change for the region’s mix of large coastal cities and dense agriculture. In the coming weeks and months, watch for announcements about the many ways you can share and stand up for science. By leveraging the D.C. location, the 2018 Fall Meeting offers a special opportunity for you to connect with global and national policy makers and leaders and to showcase our science worldwide. Experience AGU’s newly renovated headquarters building, a model for energy-efficient urban renovation that embodies the spirit and values of scientific discovery and the tells the story of the impact of Earth and space sciences on society. Members are always welcome at the AGU Headquarters. Interested in starting, building and implementing community science projects? Want to help scientists make an impact in their communities? Thriving Earth Exchange is currently looking for a contractor to work with their team. During the AAAS Community-Driven Citizen Science for Health and the Environment symposium on 14 June, the speakers roamed across themes addressing how to engage in citizen science, the importance of understanding the reasons and potential outcomes of the work (so that the outcomes are really, really valuable), and which tools are available to make the work easier to do and easier to share. The potential for meaningful work and friendships is quite high.